Hello, just found your blog! It is fantastic and I love this jacket pattern. 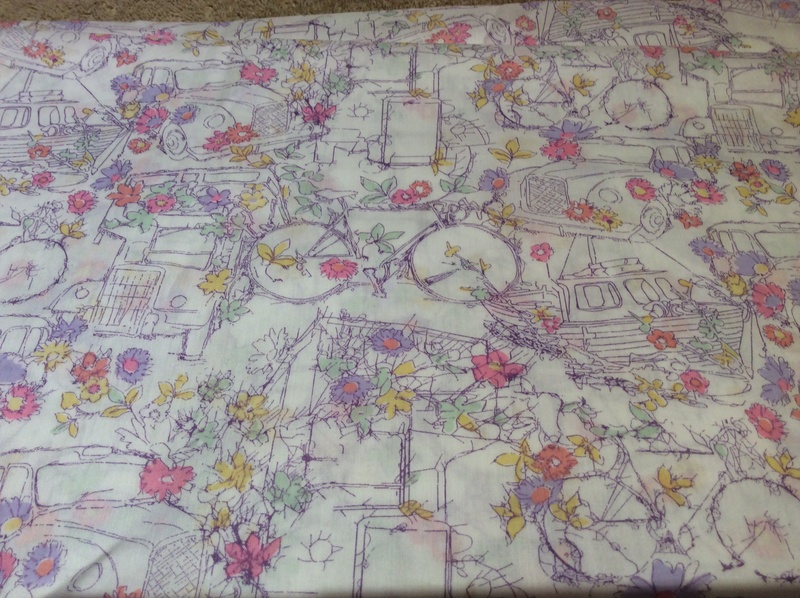 I am going to a sewing class soon – I wondered how I could purchase this pattern? I think to get help with the fit would be a great outcome for my short course! 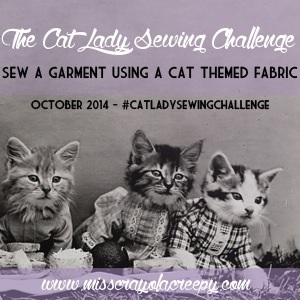 Hi, the pattern is by Sew Over It. At the moment you have to take one of their classes to get it. They usually release them for sale after about a year so keep an eye out. 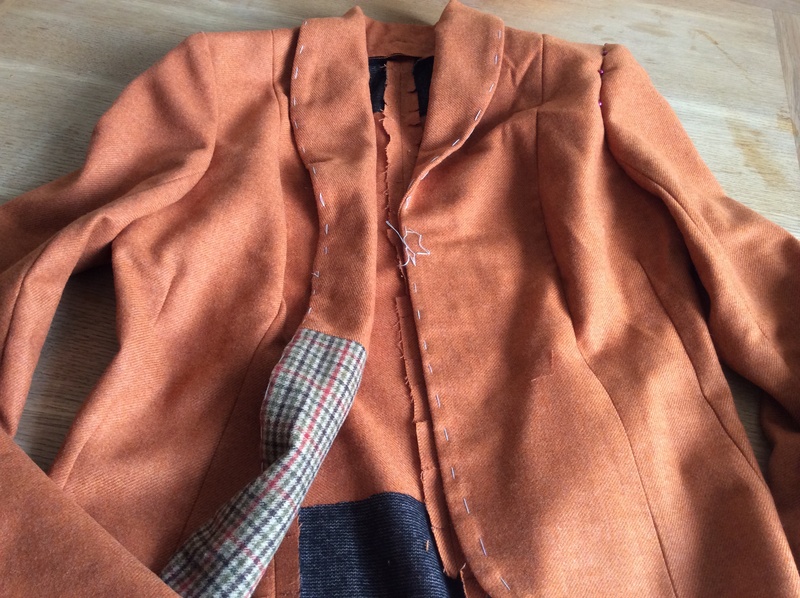 It is a lovely jacket – I hope to finish mine this week! Your jacket will be absolutely beautiful, worth every moment. It must be so inspiring, if frustrating, to take a great sewing course. And oh isn’t that peacock coat divine! And the Button Man, good job finding him! Hello! 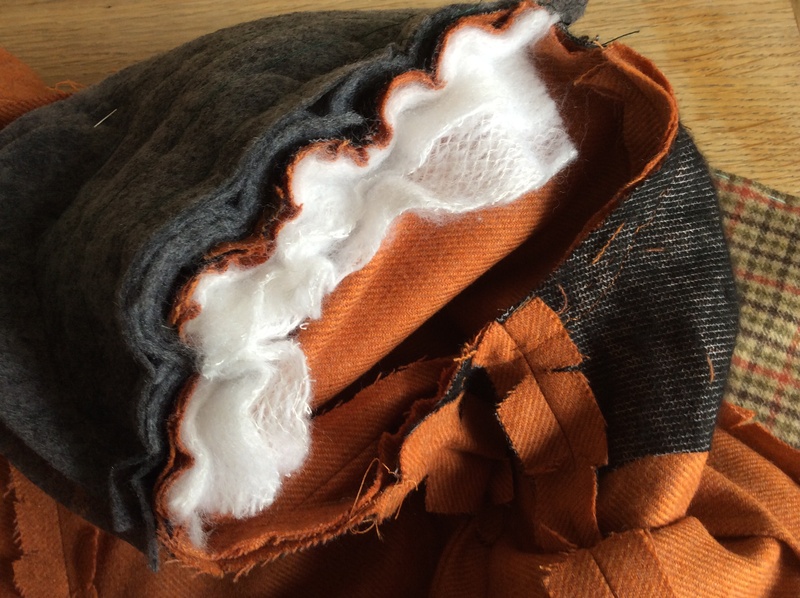 There’s a huge amount of work going into your jacket, but it will be all worth it. It’s going to be fabulous. Enjoy Brighton. I’d love to meet up when I get back to the UK. When you come back for a visit we will organise a meet-up in your honour! Love the fabric you chose for the jacket, you can tell already it’s gonna be a beauty when it’s finished. Tailoring is such a complex process, don’t beat yourself up too much, a good fitting jacket in 4 weeks is an ambitious task and I’m sure after this any other pattern will look like a breeze! I plan on visiting the button man next week. Does he sell buttons too?? He doesn’t sell buttons – it is literally just him in a Soho basement with some ancient machines but they are super efficient. He is very no-nonsense so make sure you have got your positions already marked on! It is upsetting doing and re-doing things. But your jacket is going to be fantastic and I imagine you have learned LOTS! 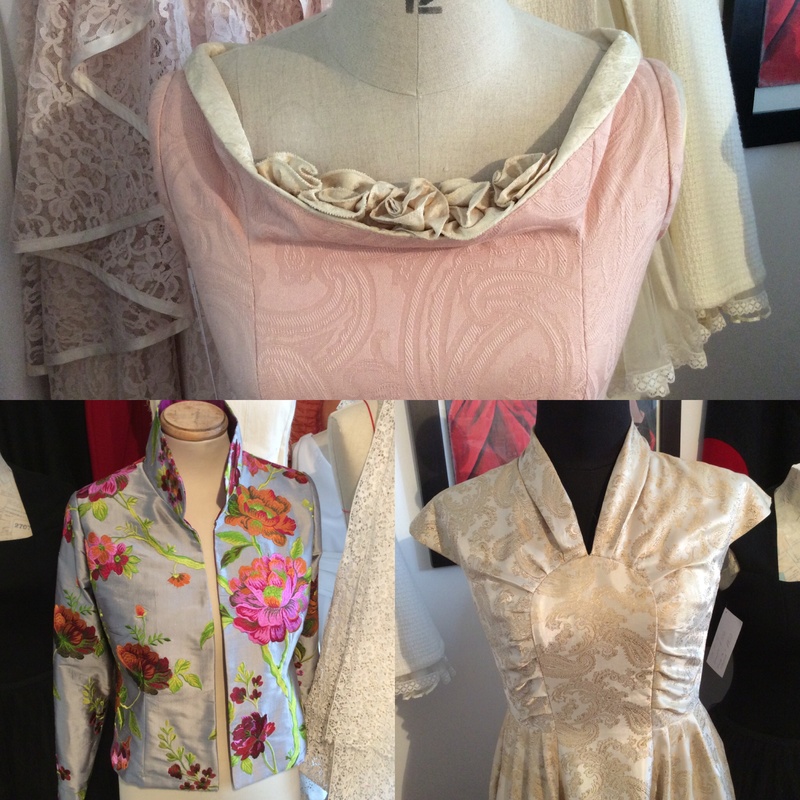 Thanks for the photos of the other garments – I am always in awe of how garments are really put together properly! I struggled at my class and was only doing a shift dress, so don’t feel like you’re the only one. Did You Make That just wrote a blog about failing, must be the week for it. 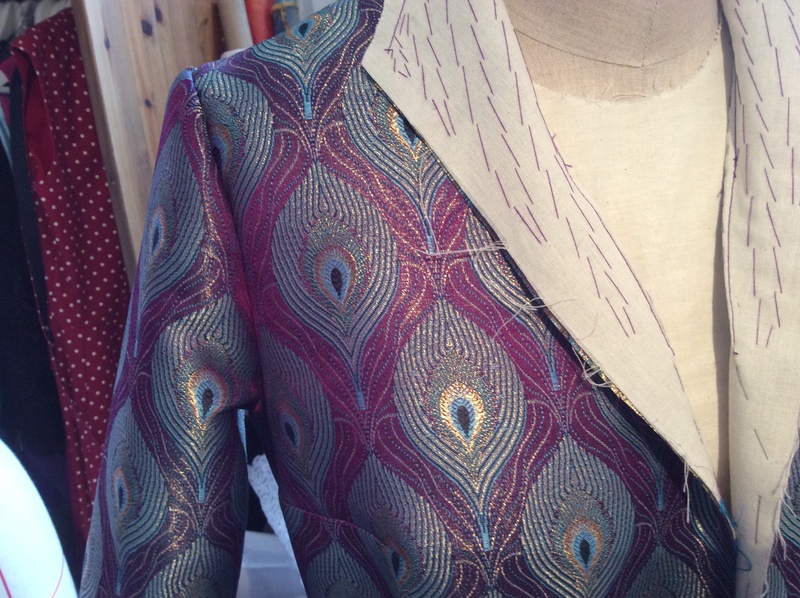 I have one more week left at the cutting pattern class so plan to take a picture then of the completed peacock coat – makes me feel warm inside thinking of a 91 year old wearing it. Ah well, you seem to have learnt a lot along the way! Love the peacock coat and how fab to have that made at the impressive age of 90! 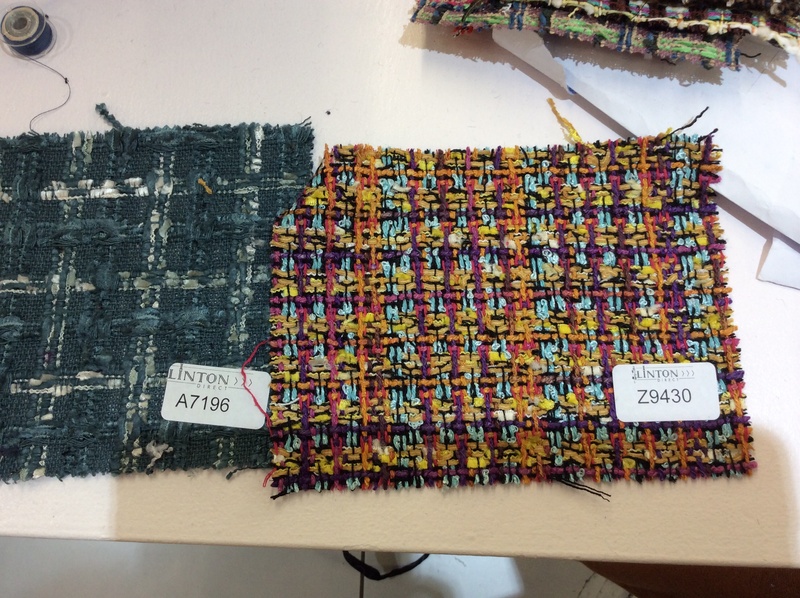 loving this process…and as always I love your choice of fabrics! 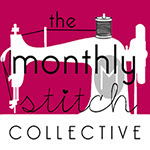 Oh one day I would like to slow down, do a bit of this and that and some slow sewing on just one thing, not six! How frustrating to have to dismantle all that hard work on your jacket! I seem to be doing a lot of unpicking recently so I do sympathise! That peacock jacket is gorgeous. I’ve always said that if I ever get around to getting married again I want Maria to make my outfit! See you at the weekend! Don’t be ridiculous – you could make it yourself! PS not meant in the rude way it looks on the page! Ha ha! The stress would be too much!